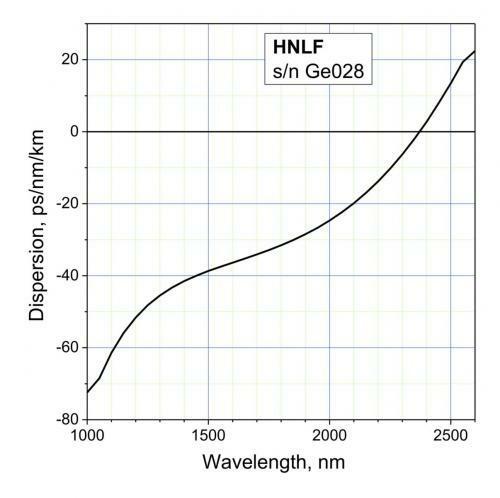 HNLF series is designed to maximize fiber nonlinearity and minimize optical loss, which makes such fibers optimal for constructing highly efficient Raman lasers and amplifiers, dispersion compensators (i.e. for the 2 µm spectral region required for Tm-doped fibers) and various non-linear devices. Non-standard HNLF, including fibers with the core NA>0.6 (pure GeO2-doped fiber core) are available on request.